Hurwitz numbers count genus g, degree d covers of the complex projective line with fixed branched locus and fixed ramification data. An equivalent description is given by factorisations in the symmetric group. Simple double Hurwitz numbers are a class of Hurwitz-type counts of specific interest. In recent years a related counting problem in the context of random matrix theory was introduced as so-called monotone Hurwitz numbers. These can be viewed as a desymmetrised version of the Hurwitz-problem. A combinatorial interpolation between simple and monotone double Hurwitz numbers was introduced as mixed double Hurwitz numbers and it was proved that these objects are piecewise polynomial in a certain sense. Moreover, the notion of strictly monotone Hurwitz numbers has risen in interest as it is equivalent to a certain Grothendieck dessins d’enfant count. 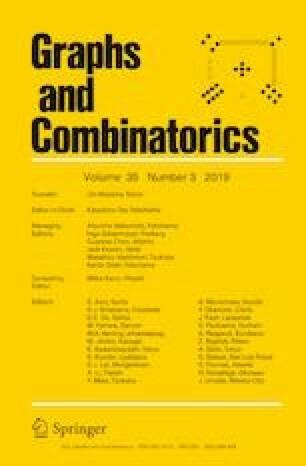 In this paper, we introduce a combinatorial interpolation between simple, monotone and strictly monotone double Hurwitz numbers as triply interpolated Hurwitz numbers. Our aim is twofold: using a connection between triply interpolated Hurwitz numbers and tropical covers in terms of so-called monodromy graphs, we give algorithms to compute the polynomials for triply interpolated Hurwitz numbers in all genera using Erhart theory. We further use this approach to study the wall-crossing behaviour of triply interpolated Hurwitz numbers in genus 0 in terms of related Hurwitz-type counts. All those results specialise to the extremal cases of simple, monotone and Grothendieck dessins d’enfants Hurwitz numbers. I am indebted to my advisor Hannah Markwig for many helpful suggestions, her guidance and extensive proof-reading throughout the preparation of this paper. Moreover, the author thanks Maksim Karev, Reinier Kramer and Danilo Lewanski for helpful comments and discusions. The author gratefully acknowledges partial support by DFG SFB-TRR 195 “Symbolic tool in mathematics and their applications”, project A 14 “Random matrices and Hurwitz numbers” (INST 248/238-1).